Download Android USB Drivers for Windows (ADB and Fastboot) | Android Smartphones and Tablets: USB Drivers for Android smartphones and tablets are needed for connecting devices so that they can 100% connect to the computer. Using the device for development which requires Android SDK USB drivers, ADB and Fastboot drivers, transferring media content and files to your phone storage etc. It is always good to have these Android device drivers before hand so you can easily install them or use whenever needed. 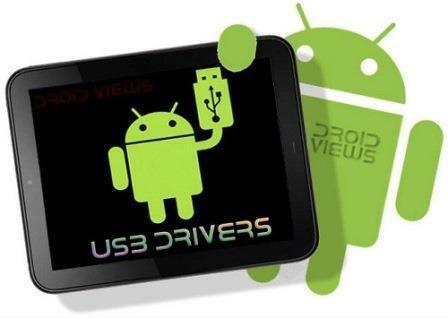 Download the Android USB drivers for Windows (Android phones and tablets, ADB and Fastboot) mostly from the official websites of device manufactures, but in cases you cannot, a list of all the major manufactures and links to their USB drivers / PC Suite (which includes the driver). These are the Android phone drivers for Windows 7 / Windows 8 and Mac OS X.
Samsung: Download Samsung USB Drivers or Download Samsung KIES (This KIES will install drivers automatically when device connected to pc– Windows/Mac). HTC Android USB Driver: Download HTC Sync Manager (This Manager will install drivers automatically when device connected to pc – Windows/Mac). Motorola Android USB Driver: Download Motorola USB Drivers (Motorola Device Manager). Huawei Android USB Driver: Download Huawei USB Drivers or Download HiSuite (Drivers included). Huawei MediaPad 10 FHD Android USB Driver: Download Drivers. LG Android USB Driver: Download LG USB Drivers. ASUS Android USB Driver: Download ASUS USB Drivers or Download ASUS PC Suite (drivers included). SONY Android USB Driver: Sony offers USB drivers and tools for Windows and Mac. Fujitsu Android USB Driver: Download Fujitsu USB Drivers. Intel Android USB Driver: Download Intel Android USB Drivers. If the right drivers for Android phone/tablet you are looking for not in the above list? Feel free to request a specific Android USB driver in the comment form..
We will provide you as soon as possible. Hope it will help you..